I hope this newsletter finds all of you well ! 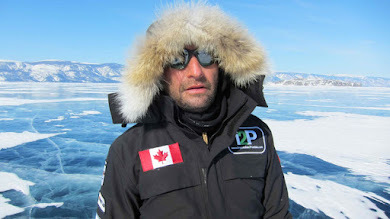 I hope all of you had the chance to check out www.canadaonexone.com during the expedition to see all of the incredible film footage of the run as it unfolded. Rogers provided us with the newest communications equipment so that we could blog, send photos and video live to our website so that everyone could follow the journey as it unfolded on the internet ! From 10 000 kids either running or participating in Saskatoon, to being joined on the runt by Assembly First Nations Chief Phil Fontaine to hundreds of other incredible stories...check out the website ! This goal to raise awareness and inspire people (especially youth) across Canada was achieved...and we in turn were inspired by this amazing generation of youth and from people across Canada who got on board with us ! 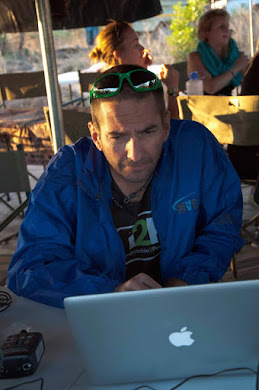 A super huge Thank You to Anton Stranc, Logistical Director for the CanadaONExONE and Impossible2Possible. 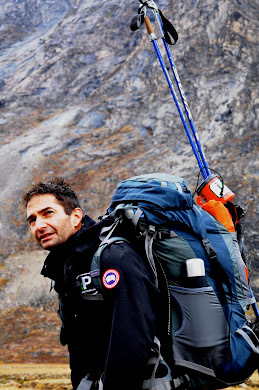 More news coming on www.impossible2possible.com , the 2008 and 2010 Polar Expeditions, and so much more !!! Kathy and I are proud to announce the birth of our beautiful daughter Mia Sahara Zahab on June 16th, 2008 !!! Kath went through 24 hours of intense and insane labor, then had an emergency c section to give birth. I have so-o-o much respect for my amazing wife already, but this took things to a whole new level. I promise I will never complain about a blisters or pain ever again ! In all seriousness, when i had Mia Sahara in my arms for the first moments i looked at Kath and we both expressed how lucky we are. How lucky our child is, and how much more passionate we are about supporting initiatives that are trying to help kids at home and abroad who are not so fortunate. Lots to come very soon.....stay tuned ! The Canada ONExONE Run is about to begin ! So much has happened since the last newsletter that was sent out. Highlights have included speaking at the Climate Project in Montreal to a group of incredible individuals who are very passionate about the environment and how the shifting climate is affecting people worldwide. Among those in attendance were Dr. David Suzuki, Al Gore and a host of others ! It was truly inspirational as well to be invited among this amazing group of people to learn from Mr. Gore and Dr. Suzuki about climate change for this incredible weekend event. 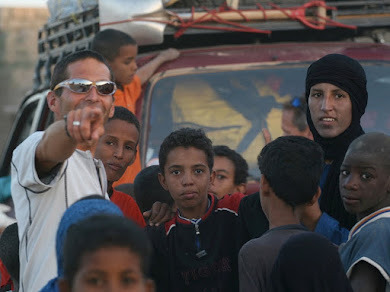 I have been very fortunate as well to do a lot of speaking lately- both to corporate groups, and in schools- and get the opportunity to not only tell the story of Running The Sahara, but get the opportunity to relay the message of the need for clean drinking water in Africa- and worldwide ! Speaking of the schools- I cannot tell you how many AMAZING kids I have met recently. This is truly an outstanding generation ! These kids are tackling issues at an age that is so truly inspiring and hopeful. Heck, when I was their age I had no concept of social and environmental issues ! The fun doesn't stop there ! 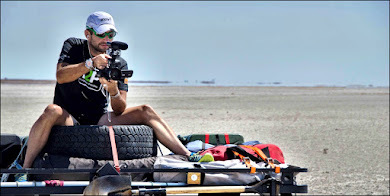 Rogers has provided us with some incredible equipment to track our journey live on the website, with text blogging, daily photo journals, and video stories from Canadians coast to coast to coast ! A multitude of activities have been planned in each Province and Territory- and we will be visiting with special guests too as we make our way across Canada ! Hayley Wickenheiser will join us at the start in Calgary, and we will also have the honor of visiting with Assembly First Nations Chief Phil Fontaine among others ! Incredible organizers and volunteers have worked tirelessly to make this expedition awesome- and I will make sure to thank them all both during (live ) on our website- and in future newsletters ! One incredible volunteer I will mention (again, all are AMAZING ! ), is Shannon Louttit of Saskatoon. What Shannon has accomplished in planning for Saskatoon is unbelievable. I don't want to ruin surprises- but suffice to say- she has created a series of events involving the WHOLE city ! Stay tuned to the website…..!